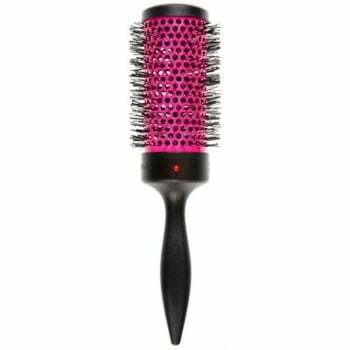 The NEW Denman Thermo-Neon Curling Brush is the perfect brush to brighten up your dressing table! This bright neon blue medium hot curl brush is equipped with heat-retaining thermoceramic barrel allow for greater heat absorption so faster blow-drying all-round. The perfect tool for blowdrying medium to long length Hair. You can also create fabulous curls just by wrapping a section of Hair around the barrel and holding for a few seconds and then releasing. Also available in 3 other sizes: Extra Small, Small and Large.